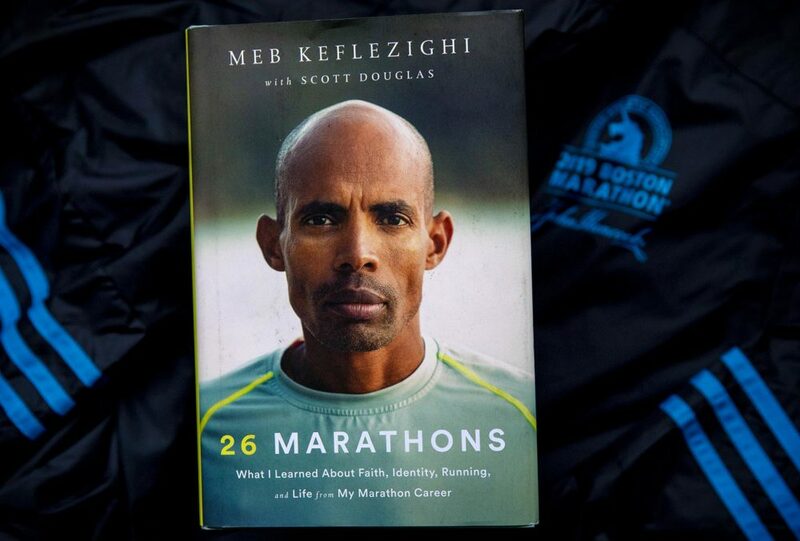 Meb Keflezighi ran his final career marathon in New York City in 2017. 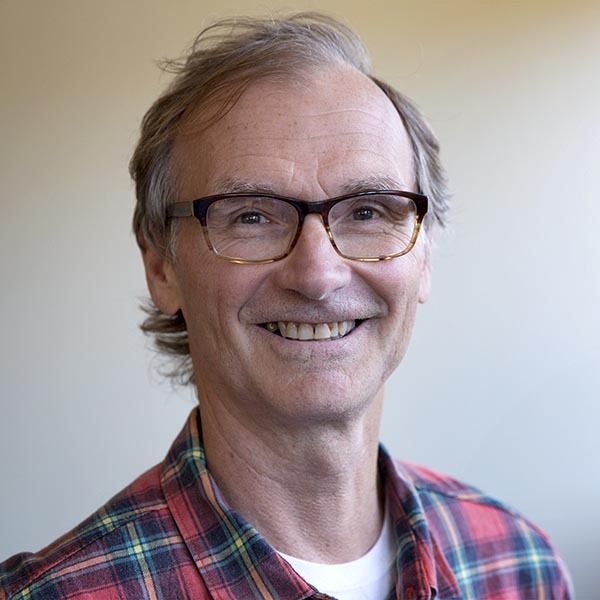 It was his 26th, which lends itself to the title of his new book, written with Scott Douglas: "26 Marathons: What I've Learned About Faith, Identity, Running, and Life from My Marathon Career." That career started — and nearly ended — with how bad Keflezighi felt after his very first 26.2-mile race. "In 2002, my first marathon in New York, I thought I was going to have a chance at winning it," Keflezighi says. "I went for it, and I got down to four people, and then eventually I hit the wall [at] about 18, 19 miles, and got slower and slower. It was torture getting to that finish line: 'This is the worst thing ever. This is my first and last marathon. I never want to do this again.' "
Keflezighi was born in Eritrea, but he and his family fled the African country due to civil war. Eventually, they settled in San Diego. He became a U.S. citizen, was a running star at UCLA and made the Olympic team for the first time in 2000. After that disappointing experience in New York City in 2002, Keflezighi went back to Eritrea for the first time since his family had left — and found new perspective. "I kind of realized I took for granted what I am able to do," he says. "And I kept going." Keflezighi won his Olympic medal in 2004, finishing second in Athens in the marathon. Then came more marathons in Boston and London. But Keflezighi struggled with injuries before he finally had his breakthrough, coming full circle and winning the 2009 New York City Marathon, where his career had started. "It was a dream come true," he says. "That's the marathon that I wanted to win, that was my first win. I thought I could do it, I didn't, I got second place, third place, and after about a year and a half of physical therapy — nothing in a marathon is guaranteed, nothing in life is guaranteed. But if you work hard and do the best that you can, my dream became a reality." He made the Olympic team again in 2012, but just missed a medal in the London marathon, finishing fourth. A year later, Keflezighi was injured again. But he was in Boston when two bombs exploded near the finish line, killing three people and injuring more than 260 others. That night, he told a reporter he wanted to come back to win the marathon for the people of Boston in 2014. Before the race got underway, Keflezighi scribbled the names of the bombing victims on his bib number. Then he ran away from a world-class field to become the first American man to win the Boston Marathon in 31 years. "People were excited ... chanting, 'U-S-A, U-S-A.' I got inspired, I'm like, 'U-S-A, U-S-A' with them. 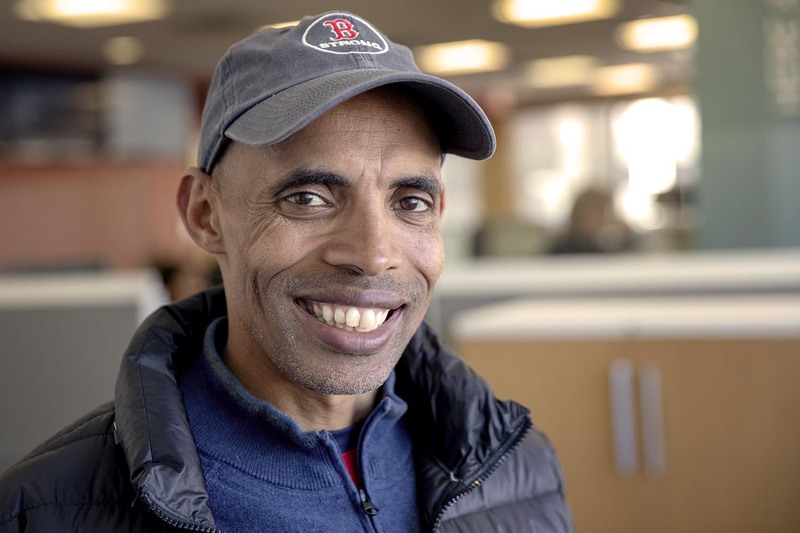 [Getting] to be able to pull [off] the victory, not only for myself or for the families, and for the city, for the international community of running, I felt blessed that God gave me that chance," Keflezighi says. "It's not for lack of trying in the past. But there was a greater purpose on that day. It was just an honor and privilege to be able to pull the victory [off] for all of us." Keflezighi says people are still approaching him to tell him their stories of watching that 2014 race. "You make appearances, and [people say], 'I was at work and I was screaming at the computer, and more people came to watch with me and then they saw your victory,' " he says. 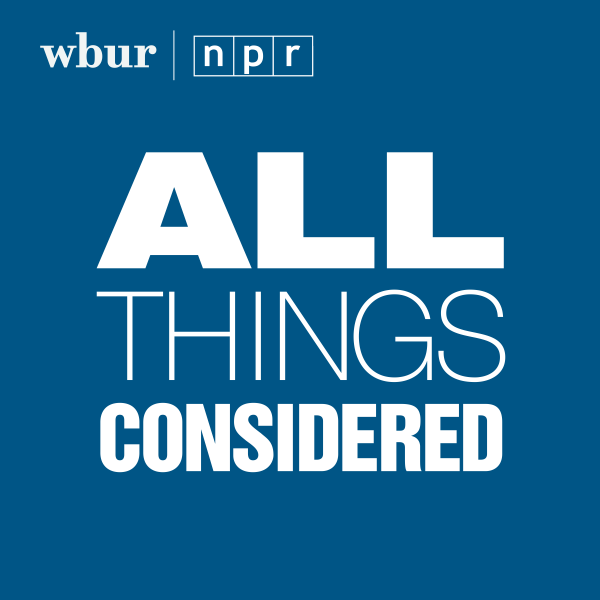 "It kind of connected people ... whether it's runners or nonrunners." After 2014 in Boston, Keflezighi kept running. He made his fourth and final Olympic team in 2016 and finished 33rd in the marathon in Rio. He struggled to finish that race, stopping almost every mile in the later stages. But he writes that runners from Peru, South Africa and other countries encouraged him to keep going as they passed him. It felt, he says, like they were giving him a global victory lap. He ran Boston one more time in 2017, and then later that year wrapped it all up in New York. Keflezighi is retired now. But he's still running, and says he's always going to be one of the sport's biggest cheerleaders. "A marathon is a metaphor for life, and life is not easy. A marathon's not easy," he says. "But through hard work and keeping the spirit up, [being] the best that you can be that day, even when things are not going your [way], stick to it. When you finish, you can evaluate, what are the three things positive, what are the three things that [are] negative, and change. We're humans, we make mistakes. But if we modify, we can be a better us." I had watched the 2013 Boston Marathon from a grandstand by the finish. It had been thirty years since an American man won Boston. As soon as Lelisa Desisa of Ethiopia broke the tape in 2:10:22, I texted my friend and fellow U.S. Olympian Ryan Hall. "WE CAN DO THIS," implying winning next year, I wrote. Already fired up for 2014, I left the stands. Then came the bombings. Like the rest of the running community and the world, I couldn’t process this senseless act. Marathons bring out the best of the human spirit: pushing yourself to accomplish more than you thought possible; working with others toward mutually meaningful goals; erasing barriers of race, age, gender, nationality, and creed. And they do so in a peaceful, joy-filled atmosphere. Why would someone turn the site of a celebration of all that’s good about humanity into a scene of death and destruction? The tragedy of the bombings elevated the importance of my original goal. I would be racing not just for myself but to be part of the process of healing and redemption. My main goal was to win. At around mile 5, I realized I was in the lead. Moving ahead at this point against a field of that caliber was an extremely risky move. I had a sudden inner vision that it was the right thing to do. It was important to seize that opportunity. Josphat Boit, a former teammate from the Mammoth Track Club, left the pack and joined me. Josphat is a native of Kenya who ran at the University of Arkansas. 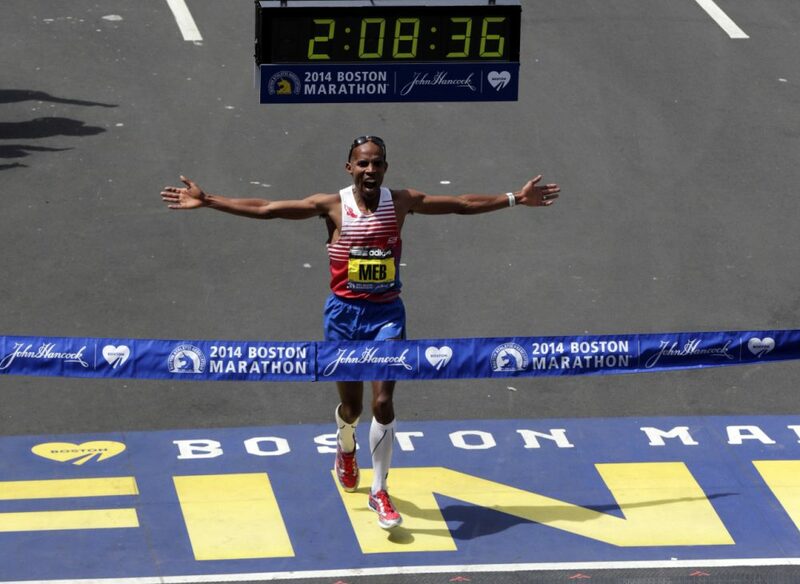 It was amazing to have two naturalized U.S. citizens leading the Boston Marathon on this day. No matter how the rest of the race turned out, we were doing our part to showcase the American dream. Josphat soon gapped me a little bit. I told myself to let him have his space, that I didn’t need to be competitive in that way this early. I figured the chase pack would soon catch up to us, so there was no point in rushing to close the gap with Josphat. By mile 8, I was thinking differently. I’d broken away three miles earlier. The pack had had 15 minutes to catch up, and they didn’t. I couldn’t believe it—my dream might be coming true. Mentally, I was prepared to go hard the rest of the way without being in a pack. As Josphat and I continued to pull away, and then Josphat began to fall off the pace, I told myself, "There’s nothing you can do to take it back." I was now committed to running from the front, solo, the rest of the way. And really, at the end of the day, what did I have to lose? My previous marathon had been the slowest of my career. My thirty-ninth birthday was two weeks away. I thought I might be running my final Boston race. I was going to give it my all. If I lost, I’d be able to sleep soundly that night, with no regrets. Fifteen miles in, I was still running solo. The enormity of what was happening was starting to sink in. We runners work so hard to prepare for race day, but there are so many little things that can go wrong. Once in a great while everything aligns, with our bodies operating at full capacity, and our minds in intimate, perfect sync with our actions. It’s so important to recognize when this is happening and to have the courage to act on it. For me that day in Boston, that meant it was time to really start pushing. It was time to throw caution to the wind and go for it. "If they catch me, they catch me," I thought. I ran the downhill 16th mile in 4:31. I was all by myself. My strategy was straightforward—run as hard as I could for as long as I could and pray that it got me to the finish line first. I took a long, long look back as I made the turn at the famed Newton Fire Station, a little bit past the 17-mile mark. At that point I knew Josphat was behind me, but I had no idea who else was coming. As I made the right for the approach to the Newton hills, I swiveled my head as far as I could, and I saw . . .
Nobody. I didn’t know how big my lead was, but I knew it wasn’t small. I tried to keep calm but couldn’t help myself after cresting Heartbreak Hill. The energy was electric. At mile 23, I did a fist bump and snuck a quick look back. I saw an orange shirt. I had no idea who it was. Whoever it was, he hadn’t been visible the last time I’d looked. Translation: He was running faster than me, and we still had 5K to go. The man behind me, who I later learned was Wilson Chebet of Kenya, kept closing. At mile 24, I entertained the thought of holding back to save energy for the last 600 meters on Boylston. The fighter in me took over. I told myself, "No, don’t hold back now. Try to maintain or extend the gap." As you may have experienced, if you come from behind to catch another runner, especially late in the race, you have the mental edge. I drew on my experience to overcome the urge to relax a bit before a final push. I had never been in such duress while leading a race. I was at my physical and mental limits. My old foot wound hurt each of the nearly 100 times per minute my left foot was on the ground. My body was tightening up all over, and the hamstring strain I’d finessed during my buildup was screaming. I was pushing so hard to maintain or extend the gap that I realized I was about to vomit. At one point Chebet got the gap down to 6 seconds. I told myself, "Focus, focus, focus. Mechanics, mechanics, mechanics." Concentrating on maintaining good running form took my mind off how much I was hurting and helped me keep up my pace. Then came the right on Hereford and the left on Boylston that I’d visualized so many times over the previous year. I crossed myself at the first bombing site, in honor of all the victims, especially the four fatalities. I took a good look back as I ran past the 26-mile mark and saw that Chebet wasn’t closing. I pumped my right fist. I pumped my left fist. I nervously peeked back; Chebet still wasn’t closing. I pumped both fists, raised my sunglasses to my forehead, and crossed myself again just before the finish at the site of the second bombing. I poured myself into the finish tape. I had won the Boston Marathon! I raised my arms and gave thanks to God. My dream had become a reality.